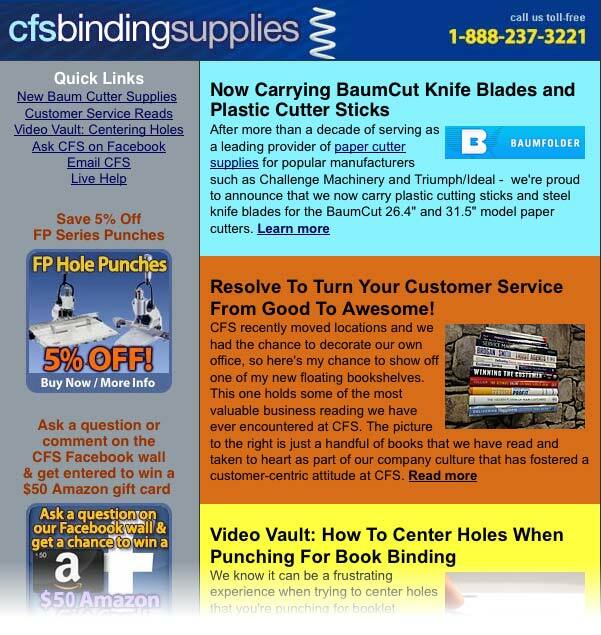 In this month’s issue of the CFS newsletter we announce the arrival of cutting sticks and knife blades for the BaumCut 26.4 and 31.5 inch paper cutters. And for something different, we’re sharing a list of our favorite books that have transformed our company culture and the customer service that we strive to offer. Pulling an ‘oldie-but-a-goodie’ out of the video vault: we’re showing your a quick tip tutorial on how to easily center your punched holes.